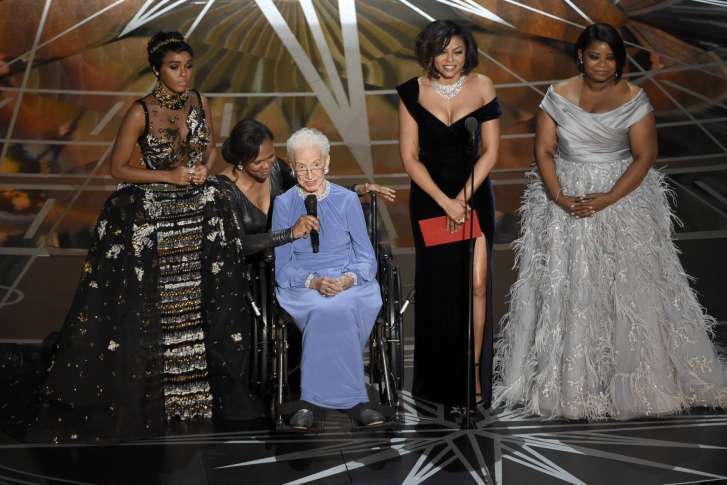 The U.S. Senate may award a Congressional Gold Medal to the women portrayed in the 2016 film "Hidden Figures." The women crunched numbers at the NASA Langley Research Center in Hampton, Virginia, during the early days of the U.S. space program. The U.S. Senate is considering a bill that would award the medal to the mathematicians. They worked in the pre-computer age, calculating rocket trajectories and earth orbits for the earliest American space flights. Much attention has been given to Johnson, who will turn 100 on Aug. 26. But Katherine Moore, Johnson’s daughter, said she likes to stress that she was part of a team.